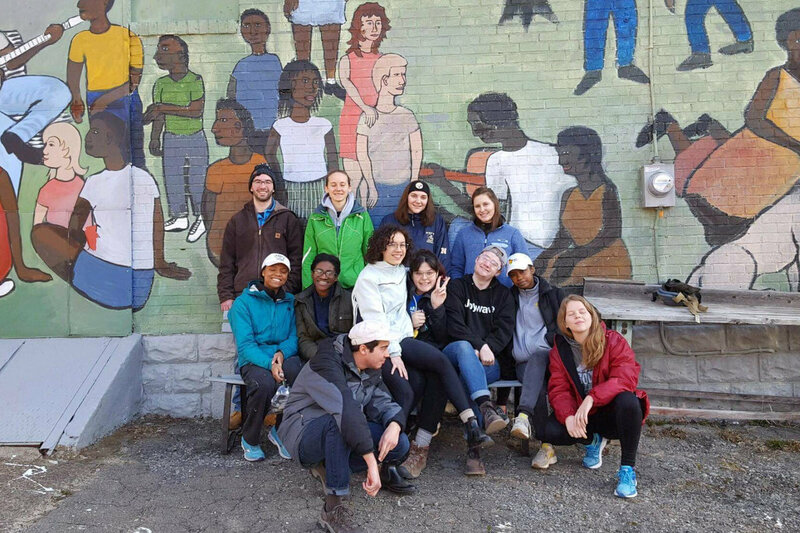 While many students went home for spring break, 34 Ithaca College students traveled with the Alternative Spring Break program to locations around the country to help local communities on a variety of service projects, from coastal conservation to home renovations for low-income families. The four groups of students participating in the program traveled to North Carolina’s Outer Banks, Virginia’s Kiptopeke State Park, Washington, D.C., and Pittsburgh, Pennsylvania. They volunteered with local community service organizations in each location. “The main goal is for students to learn through service immersion and putting themselves through the challenge of being in a new place and learning a new community, and fully engaging themselves in volunteer work for the span of about a week,” said Don Austin, assistant director of community service and leadership development for the Office of Student Engagement and Multicultural Affairs. Chelsea Holiday ’18 was a student co-leader on the trip to Pittsburgh, where she helped coordinate volunteer work with The Pittsburgh Project, a local nonprofit organization that provides home repairs for low-income families and senior citizens. It was her second year participating in the program. She decided to take part again because of the bonds she formed with her fellow volunteers. Kelly Madden ’20 joined Holiday as a co-leader on the Pittsburgh trip. She says the experience changed her life. In addition to meeting new people and making new friends, student leader Carmen Liberatore ’20 says she was able to pursue her passions and develop leadership skills on the trip to the Outer Banks. 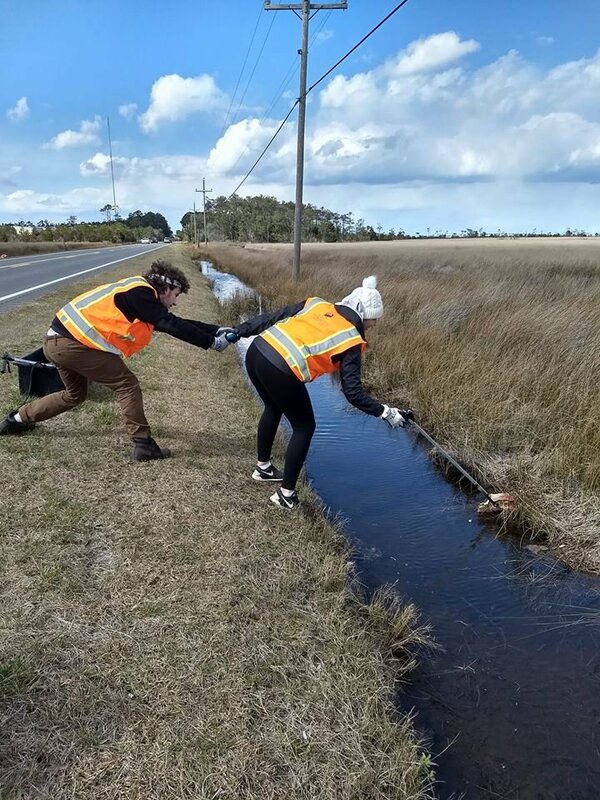 Students on that trip volunteered with the North Carolina Coastal Federation on a variety of projects, such as coastal cleanups. Students who travelled to Kiptopeke State Park in Virginia supported the Virginia Department of Parks and Recreation in conducting routine maintenance, trail building and restoration, beautification projects and a variety of other tasks. Those in Washington, D.C., volunteered with local nonprofit organizations addressing issues of hunger and food insecurity. Austin says that the students who participate in the Alternative Spring Break program truly care about the communities they assist and are dedicated to their volunteer work. “These communities and organizations have hosted numerous volunteer groups from different schools, and they say students from IC are some of the hardest working and ready for challenges,” Austin said. Apart from the Alternative Spring Break trips, graduate students Taulant Gashi and Harrison Lindsay travelled to Alaska to volunteer with the Alaska Business Development Center’s Volunteer Tax & Loan Program. They travelled to the villages of Old Harbor, Akhiok and Ouzinkie to help people file their taxes. Ithaca College is one of only about a half dozen institutions to participate in the program.